This charming ranch home is full of character and full of space for you and your family to create your own story in. Newly built in 2015 this house is nice and up to date. When you walk in you'll be greeted by the large open concept great room and kitchen. The sliding door in the kitchen will take you out to the newly added 20' x 12' patio giving you plenty of outside space for entertaining. Back inside the vaulted ceilings run from the great room through the master suite. The master features it's own private full bathroom. There are 2 other bedrooms on the main level along with a 2nd full bath. The lower level is completely finished with a 2nd large living space and a rec/bar area. There is also a 4th bedroom in the lower level as well as another half bath and an extra room for storage bringing the total living space to over 2300 sq ft! 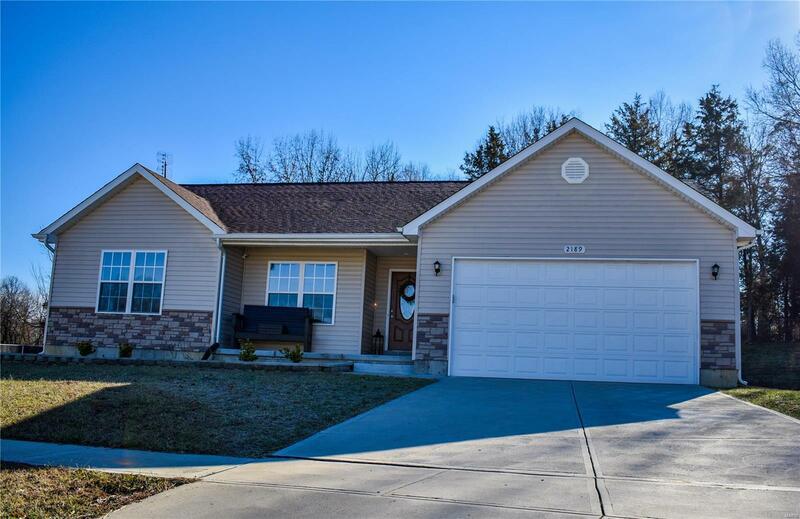 This home sits on a large pie shaped cul de sac lot in the back of a quiet subdivision. The back yard is nice and private and backs up to the woods!